Carbon dioxide removal (CDR) describes a suite of controversial approaches to mitigating climate change that involve removing existing carbon dioxide from the atmosphere. Through an online survey experiment with US adults (N = 980), we examine three factors that may shape public support for different types of CDR strategies: (1) perceptions that CDR tampers with nature, (2) individual-level variation in the degree to which people are uncomfortable with activities that tamper with nature, and (3) information about the risks and benefits associated with each CDR strategy. Using a moderated mediation analysis, we find that support for different CDR strategies is, in part, a function of how much each strategy is perceived to tamper with nature. Support for bioenergy with carbon capture and storage (BECCS) and direct air capture (DAC) was lower than support for afforestation and reforestation (AR), as BECCS and DAC were perceived to tamper with nature more. These effects were particularly strong among individuals generally opposed to the idea of humans interfering with natural processes. Moreover, we find evidence that describing the risks and benefits of each CDR strategy dampens support; for AR and BECCS, this effect was again mediated through perceptions of tampering, while for DAC, the effect of describing these tradeoffs appeared to operate independently of perceived tampering. 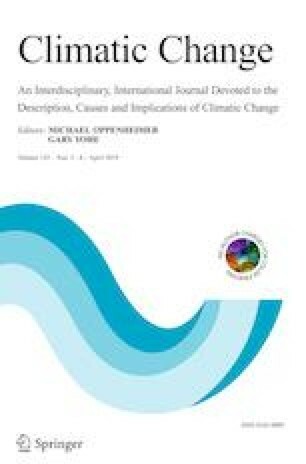 We conclude that policymakers and science communicators need to be mindful of how CDR strategies are described to the public, as perceptions of tampering with nature may be an important driver of their acceptance. Kimberly S. Wolske was lead author. Kaitlin T. Raimi, Victoria Campbell-Arvai and P. Sol Hart contributed equally to this work as second authors. The online version of this article ( https://doi.org/10.1007/s10584-019-02375-z) contains supplementary material, which is available to authorized users. This research was funded by the University of Michigan Energy Institute as part of the Beyond Carbon Neutral initiative.